Today is Tag It Tuesday with My Creative Time, and we've been asked to create a set of four tags under a specific theme. 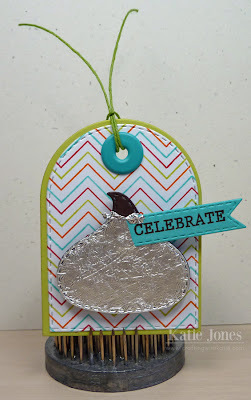 I decided to make birthday tags, all using the same color palette, and I used a ton of MCT dies and stamps to make these! 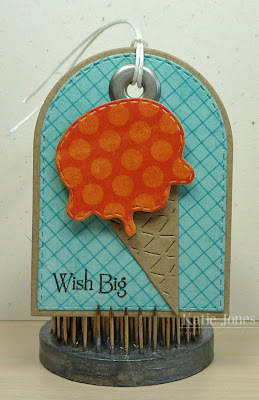 For this tag, I used the XL Label Die and the Stitched XL Label Die. The cupcake was made with the Celebrate Good Times dies, with a tag made with a stamp and die from Teeny Tag Greetings. 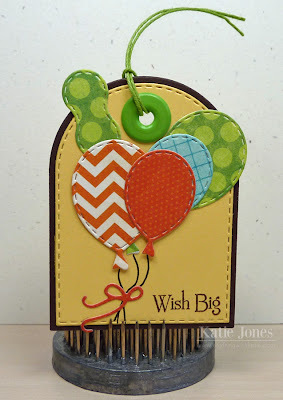 All of the patterned paper that I used on the tags is from the My Mind's Eye Lime Twist: Life of the Party collection, and the big eyelets are from We R Memory Keepers. For the rest of the tags, I used the dies from Just Tags. 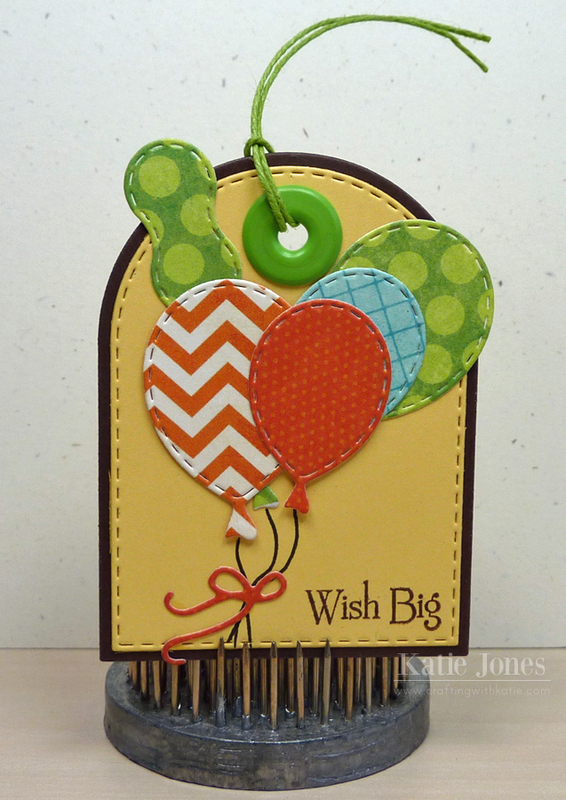 This one has balloons and a bow made with the new Stitched Party Dies and a sentiment from Chunky Jar Accessories. I used Celebrate Good Times again here to get my cute ice cream cone! 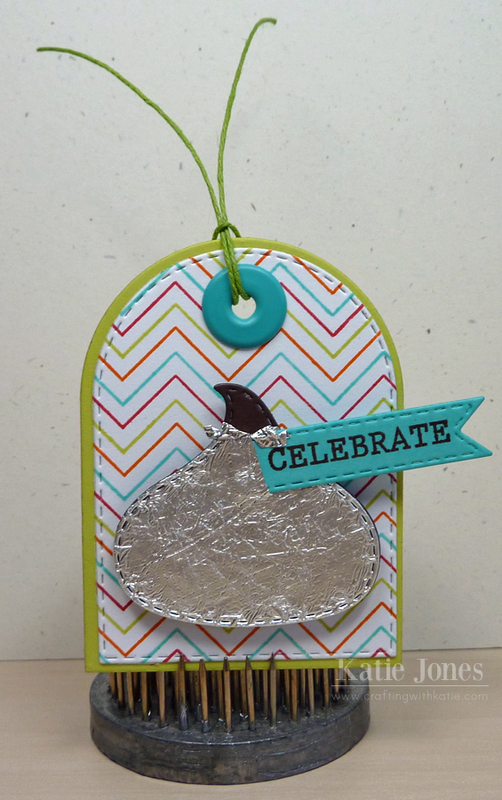 I had fun playing with the new Build a Chevy Background stamp to make my pretty chevron background on this tag, and then I added a chocolate candy made from the die from Chocolate Greetings. I cut it once in brown cardstock and once in crumpled tinfoil to give it a realistic look. The sentiment is from More Chocolate Greetings. The back of each tag is stamped with "To/From" stamps from the Just Tags stamp/die set. Oh Katie, Your tags are amazing my goodness you did an awesome job I especially am in awe of how you did your candy kiss tag how clever are you I am so going to do this. 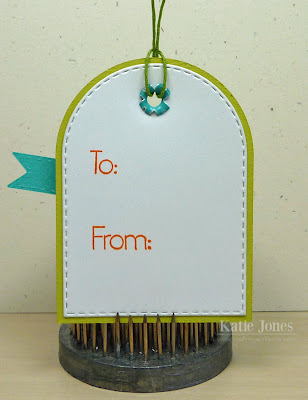 I love all the colors you chose and the paper/cardstock too. Girl you are so stinkin' talented and thanks for the great ideas for using all of Emma's goodies. YOU RICK!! These tags are AWESOME Katie! 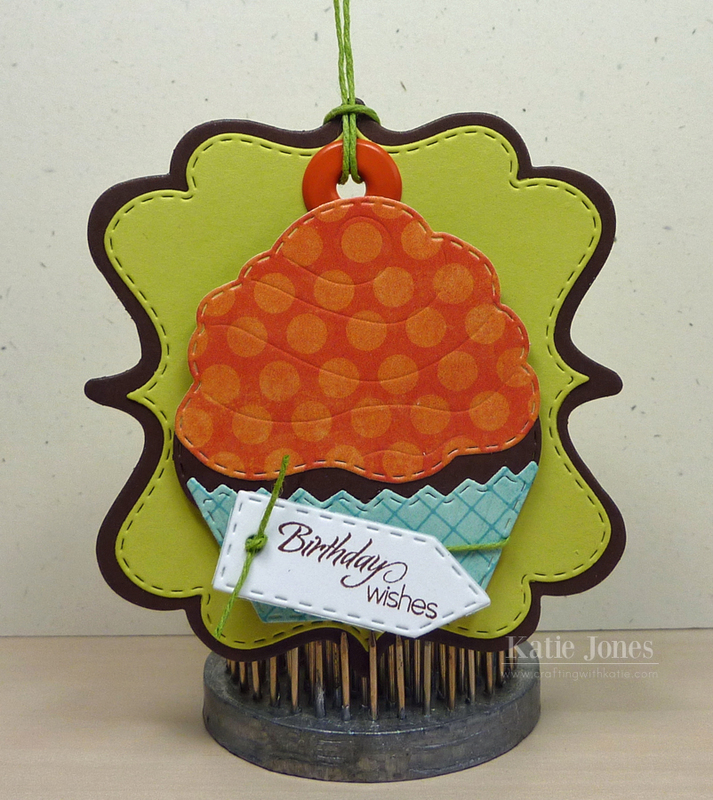 Loving the different stamps and dies you used! 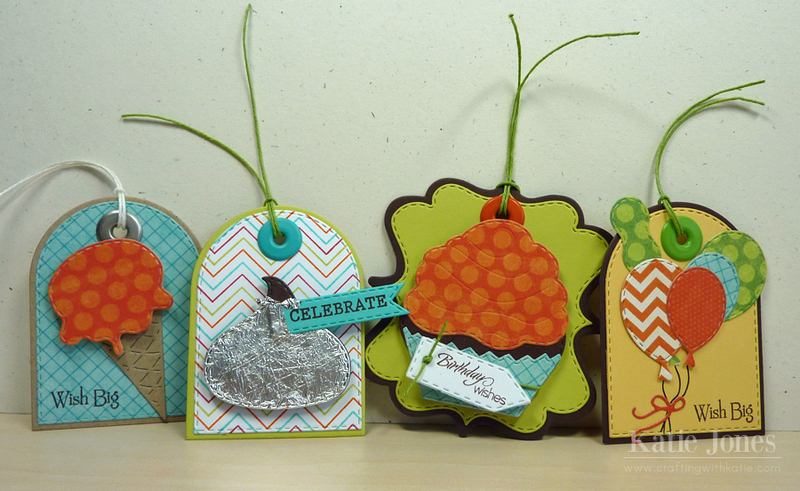 Very cute tags...I love the XL Label as a tag and the big eyelets. Great job!